The chilly winter months are the perfect time for thinking about giving your immune system a little boost. 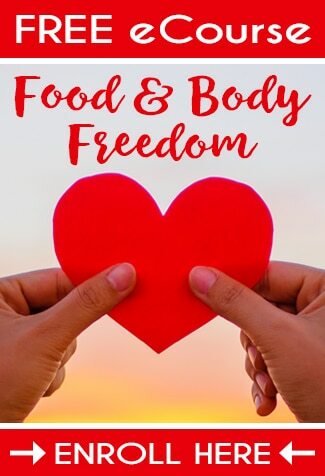 My favorite way to do this is with nourishing foods that not only taste wonderful but also give my body the building blocks it needs for better health. Today’s recipe for Golden Broth contains some of my favorite immune system assistants: homemade broth, turmeric, ginger, and garlic. 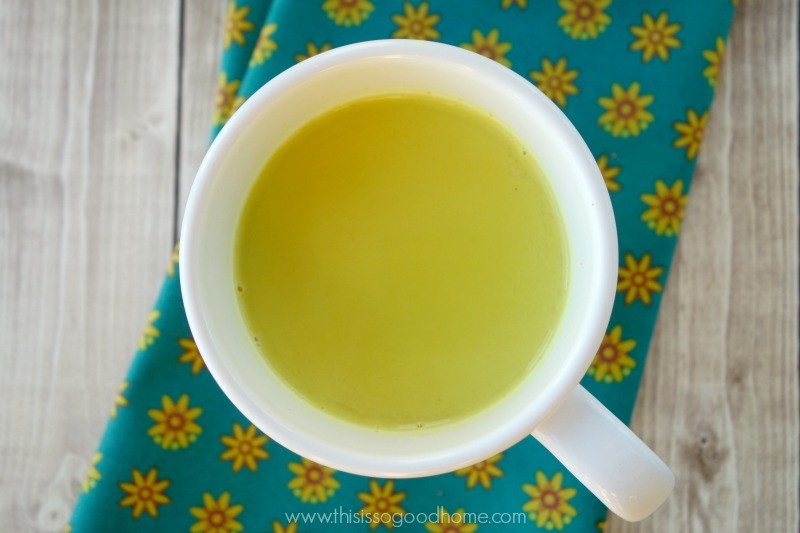 A few months ago, I shared my recipe for Golden Milk. I enjoy this drink so much, but sometimes I prefer a savory cup over something sweet. Enter Golden Broth. Turmeric is the star of today’s recipe and it is one special little root. It gets its lovely golden color from curcumin, which not only boosts the immune system but also strengthens the digestive system and supports joint health. It’s important to include black pepper in preparations involving turmeric as the piperine (what makes pepper peppery!) increases the bio-availability of the curcumin, making it easier for the body to absorb this beneficial nutrient. Adding some coconut milk provides some healthy fats which also assist in the absorption of all this immune boosting goodness! Ginger and garlic are also well-known for their anti-inflammatory properties and are the perfect flavor compliments to turmeric. These three powerful flavors make for one delicious cup of broth! I highly recommend making your own broth for this recipe. It’s simple, economical, and the taste is like nothing you will ever find in the store. Broth freezes well and is wonderful to have on hand for soups, stews, sauces, or recipes like this one! 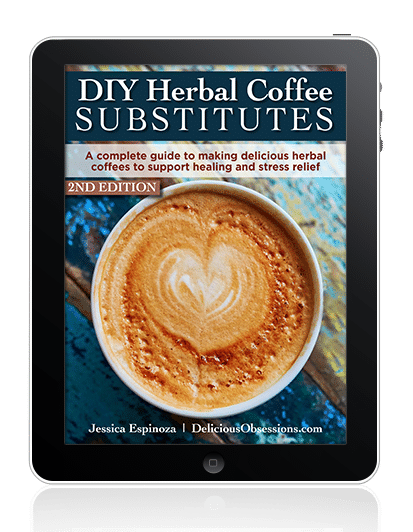 Homemade broths contain the components of both collagen and cartilage (glucosamine and chondroitin), which have been shown to be beneficial in the treatment of arthritis and joint injuries. 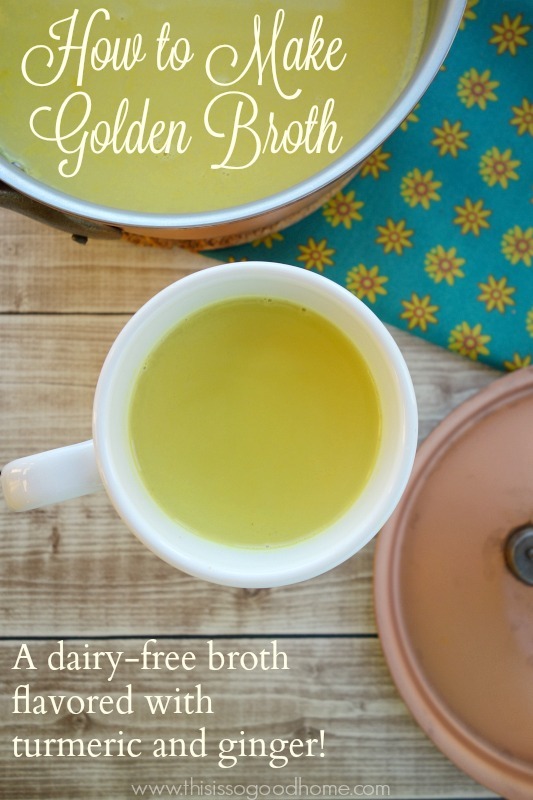 Homemade Broths are also a healthy source of gelatin. Gelatin is made up of the amino acids arginine and glycine, which are helpful in aiding digestion and encouraging the body to utilize complete proteins more efficiently. Gelatin is sometimes referred to as “Nature’s Botox” as it is known to promote hair, skin, and nail growth! When it comes to gelatin, you don’t want any old gelatin off the supermarket shelves. You want to look for 100% grass-fed gelatin from healthy animals. Just like other animal products, quality is important. I discuss this in detail in this post, The Scoop on Gelatin Brands. Perfect Supplements offers a grass-fed hydrolyzed collagen (cold-soluble) and a gelatin (hot-soluble). Read my review of their product here or watch the video below. 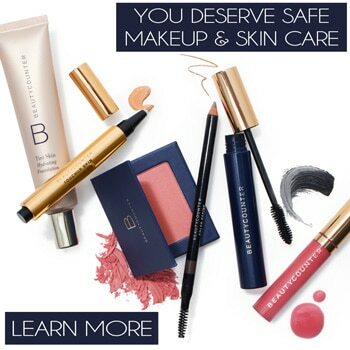 You can order their own products via their own site here or on Amazon here. Vital Proteins offers two types of gelatin. The green top (Collagen Protein) is what you need for this recipe and for recipes where you are making gummies, “jello”, etc. The blue top (Collagen Peptides) is cold water soluble and does not thicken or gel-like gelatin does. Both are very nutritious, but can’t be used interchangeably. You can order their own products via their own site here or on Amazon here. So have I convinced you of the power of Golden Broth yet? Let’s give it a try! Place all of the above ingredients in a saucepan over medium heat and bring to a simmer. Simmer for 10 minutes and then remove from the heat. Use an immersion blender or a regular blender to puree the turmeric and ginger into the liquid, giving you a smooth broth for sipping! Serve in a bowl or a mug. Keep leftovers in a Mason jar in the refrigerator. Enjoy! I believe in the nourishing food that animals provide (big fan of Sally Fallon’s Nourishing Traditions), however, I find the animal farming industry abhorrent, and recently have come to look suspiciously at even organic practices, namely in the Dairy industry and in the slaughtering process. I haven’t been able to find any reassurance from a supplier regarding slaughtering practices, and the cctv footage that comes out of slaughterhouses sickens me to the core. Can you shed any light on whether the products you endorse can vouch for their entire process, from birth to slaughter? I would dearly love to return to bone broths and grass fed meat, but until I can find a trustworthy supplier (I am based in Andalucia, Spain), I am abstaining. This sounds delicious! I do have a question, though — I have no idea where to find fresh turmeric root — it’s not available anywhere in my area — could I use ground organic turmeric instead? And, if so, how much for this recipe? Thanks! 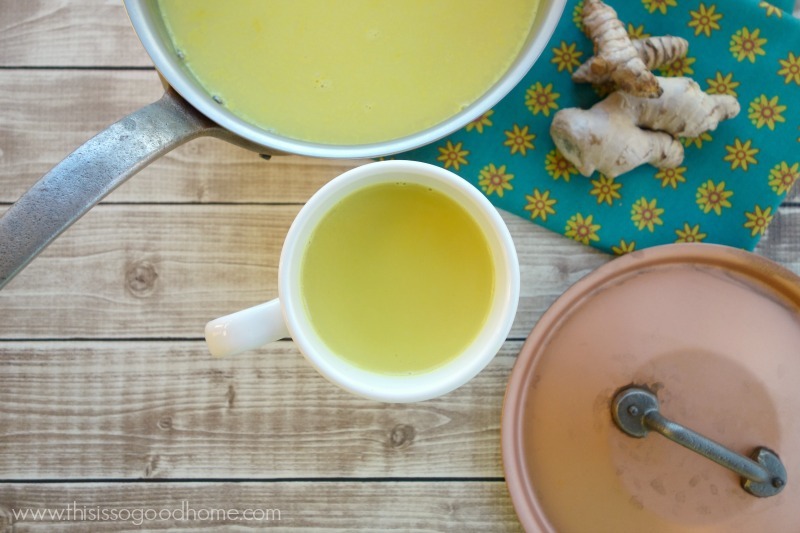 Nothing quite says vibrant health like golden milk meets bone broth. Can’t wait to try this infusion for myself. Hi Irena! I know, right?! 🙂 Thanks for stopping by!! !